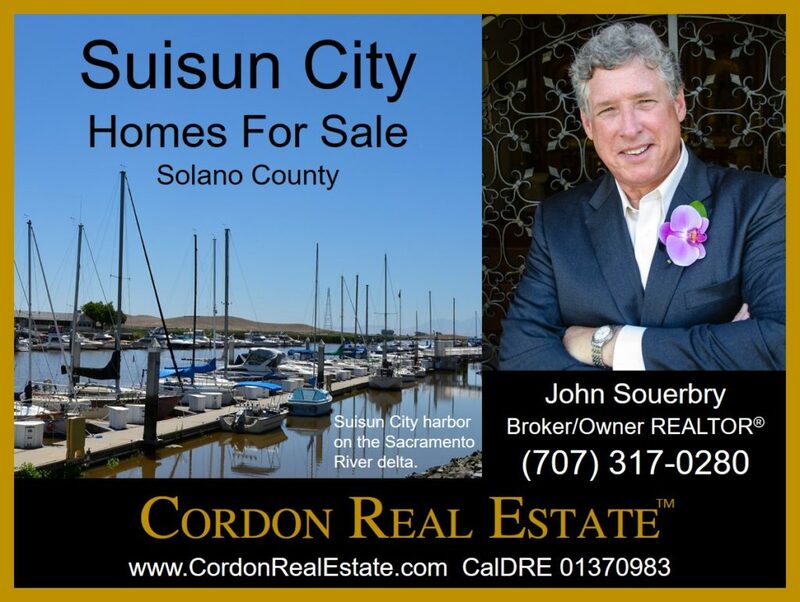 Here are current listings of Suisun City homes for sale. Suisun City is located adjacent to Fairfield on the Sacramento River, with quick access to Highway 80 roughly midway between San Francisco and Sacramento. Napa Valley and Sonoma County wine country are less than 30 minutes drive to the west. View the listings, then contact us for more information and to schedule showings.